Landscaping Aluminum Wire Mesh, 75 x 50 cm. Finely-woven Aluminium Mesh, formable at will. For smaller, self-supporting mountain constructions. Ideal for spanning an underlying frame. 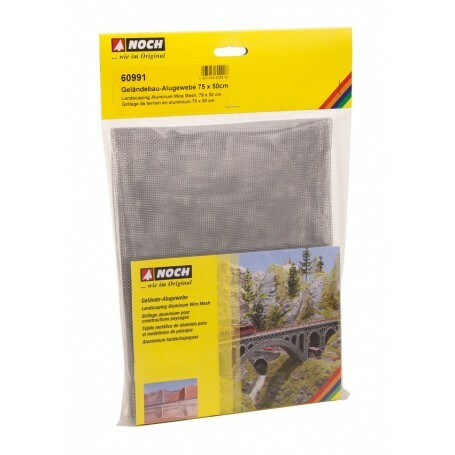 The popular NOCH Aluminium Wire Mesh is now also available in a convenient smaller size. With the ref. 60990 you can find it with the dimensions 100 x 75 cm.